Today we will talk about the well-known and popular CX-5 SUV, which latest version has just been presented to the world. 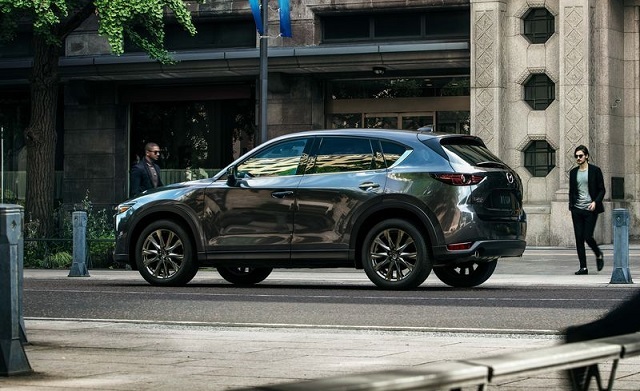 However, the 2020 Mazda CX-5 has also been announced and it is expected to bring some upgrades on the technology front. Beneath the hood, it will now have two options including the new 2.5-liter turbo unit available in the higher trim levels. In terms of design, it could get some new color combinations and new designs of the wheels. 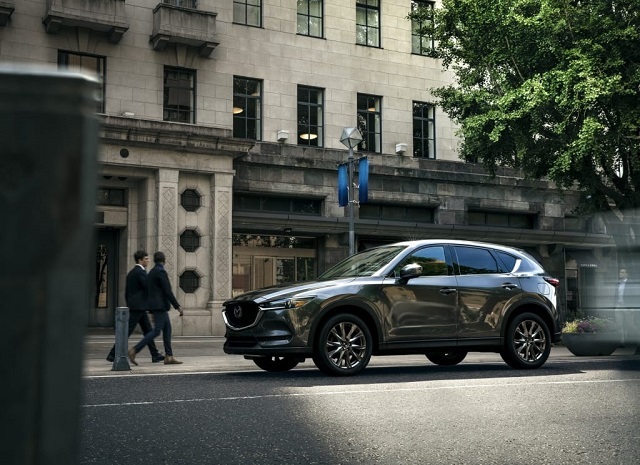 The all-new 2020 Mazda CX-5 will offer two engine options among which, the one has just been introduced for the 2019 model year. So, the base is the already used 2.5-liter inline-4 engine which is able to make 187 horses and 186 pound-feet of torque. The engine will be coupled to a 6-speed automatic transmission and the front-wheel drive system will be standard. However, the all-wheel drive system will be optional. It will be able to tow up to 2,000 pounds. When it comes to the fuel economy, the front-wheel drive model will get 25 mpg in the city and 31 mpg on the highway. The all-wheel drive variant is rated at 24 mpg in the city and 30 mpg on the highway. On the other hand, the 2019 model year has introduced the new engine option which will also continue to be offered for the 2020 CX-5. It is a 2.5-liter 4-cylinder turbocharged engine which will be used in the higher trim levels. This one will have to output of 250 hp and the torque of 310 lb-ft. As well, it will use the same 6-speed automatic and the same drivetrain options as the base model. Visually, the new 2020 Mazda CX-5 shouldn’t differ much from the outgoing model. But it is not a bad thing since it is one of the best looking SUVs in the market. It features a prominent trapezoidal grille and a pair of slim LED headlamps. The rear end also looks attractive with its simple bumper and smaller taillights. It rides in the 17-inch alloy wheels in the base version. However, the 2020 Mazda CX-5 might be slightly revised and could get some new designs of the wheels. 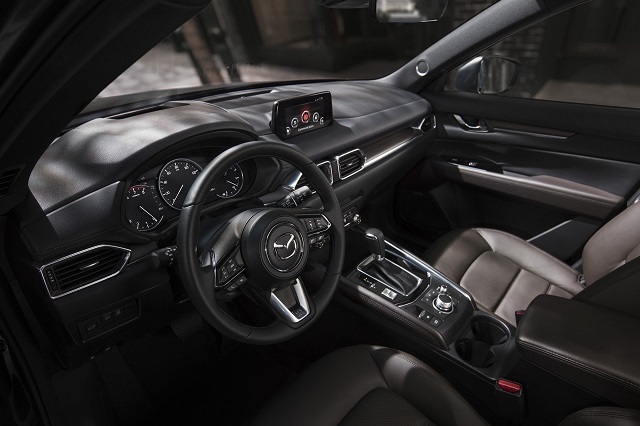 The interior of the 2020 Mazda CX-5 is classy, comfortable and modern. It comes with two rows of seats which are cozy and supportive. On the top of the dashboard, there is a standard 7.0-inch touchscreen for the infotainment system. Speaking of the equipment, it will be offered with several trim levels. And there will be the new range-topping model which will add Nappa leather upholstery, a leather steering wheel, black headliner, and real woodgrain decorative panels. It will also get a surround-view monitoring system and a 7.0-inch display in the instrument cluster. Furthermore, the Apple CarPay and Android Auto connectivity will be one again optional. There is no information about the release date of the new 2020 Mazda CX-5. But it definitively won’t arrive until late 2019. The price should be similar to the current which begins at roughly $25,000.